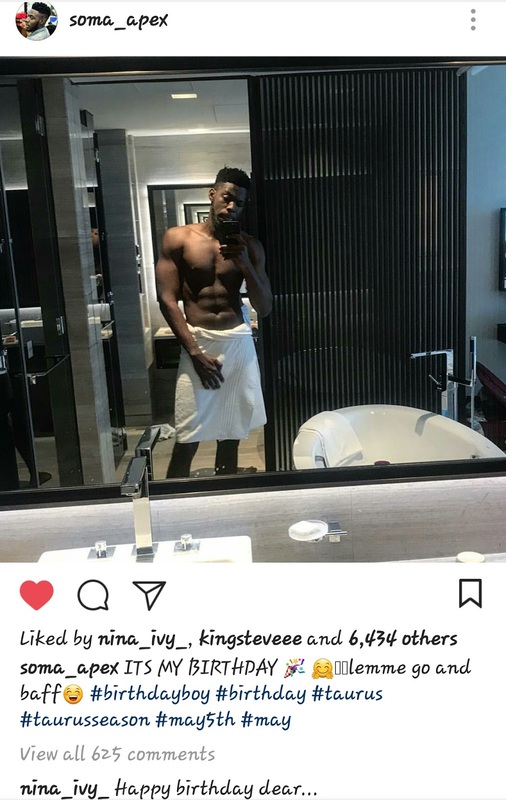 Big Brother Naija 2017 former housemate, Somadina Anyama aka Soma who is a year older today, took to his Instagram page to share the above bathroom picture of him, revealing nice body parts, to wish himself a happy birthday. Nice body goals don't you think. Yep, I saw that too "Happy Birthday Dear" from Nina.